In an effort to stop a motorist who has committed a crime, police officers often embark on high-speed chases. In many cases, the suspects are eventually caught, but serious car accidents tend to occur. Sadly, many innocent victims have died in such situations. A recent incident in Florida was no different. A police chase led to fatality when a car that was being pursued by police hit and killed a woman who was walking out of a funeral home. The fatal accident happened on February 24 in Miami near Northwest 17th Avenue and 58th Street. The car, a red Hyundai Elantra, was stolen in a carjacking incident the night before and then used in an armed robbery the next day. Just a few hours later, police tried to stop the vehicle when they located it in the Liberty Square area of Miami. The driver, however, refused to stop, leading police on a chase. The driver hit an off-duty police officer who was driving a Dodge Charger. The driver continued on, hitting three more vehicles. The Hyundai then hit a pole and flipped over. It also hit the woman, who was walking on the sidewalk. The unidentified woman died at the accident scene. Three police officers were injured while rescuing the occupants of the vehicle. There were four teens inside the vehicles—a 15-year-old, a 16-year-old and two 18-year-olds. Several firearms were recovered at the accident scene. All are currently in police custody. The off-duty officer in the Charger was not injured in the crash. High-speed chases on public roadways are often seen as controversial because of the risks involved. In an effort to evade police, drivers often drive at high speeds and lose control, causing serious accidents. These crashes often result in serious injuries and, in this case, fatalities. In an effort to reduce these risks to the public, many states have put restrictions on high-speed chases. The frequency of police chases varies from state to state. Back in 1997, the numbers ranged from zero to 870. As many as 40% of police chases resulted in property damage and/or injuries. Police chases resulted in as many as 325 fatalities per year. More than 30% of the victims were occupants of vehicles not involved in the police chase, with many police officers dying in such accidents as well. Non-motorists such as bicyclists and pedestrians are also at risk, accounting for just over 3% of fatalities. When tragedies like this occur, it’s important to know that the law is on your side. If you or a loved one was injured or killed by someone else’s negligence, you need someone who can help you obtain the compensation you deserve. Car accidents can affect a person in various ways. 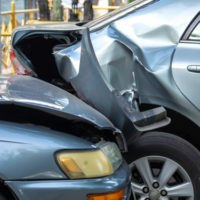 The Dade City car accident attorneys at Mander Law Group will focus on your financial recovery while you and your family focus on physical and emotional recovery. Call our office at (800) 557-0411 to schedule a consultation.